So over the last four or five years, I’ve had A LOT OF THOUGHTS as far as writing a book is concerned. And of all those many thoughts, my most recurring one has been this: I don’t really have an imagination, and I’ve never had an idea for a book, so I’m pretty sure that book-writing is outside my wheelhouse. Only I probably didn’t use the word “wheelhouse.” Because as far as I know that previous paragraph is the first time I’ve ever used it. Anyway, writing fiction has never been a remote possibility for me since 1) the aforementioned lack-of-imagination thing and 2) just thinking about it makes me tired. I can barely keep up with the real people in my real life; quite frankly I’m just not that interested in creating some imaginary people and then being responsible for what happens to them. THAT IS A LOT OF WORK, Y’ALL. About a year and a half ago I started writing every now and again for HomeLife magazine, and I found that I really enjoyed the longer essay format. Now granted, I still go way over the suggested article length EVERY SINGLE TIME, but it’s been fun – and I think it’s been good for me to stretch a little bit beyond the bloggy stuff that I typically post here. It was last summer, I guess, when I was cleaning my kitchen and minding my own business and OUT OF NOWHERE a book title popped in my head. I thought the title was sort of funny, so I told Melanie about it the next time we talked, and then we laughed about the fact that it was a shame to have a perfectly good title and no book to go with it. Then, a few months later, another title popped in my head. And then, a couple of months after that, Alex said something on the way to church one night that struck me as SO PROFOUND – and I thought Gosh, that would make a really neat book title. But I still hadn’t had a single idea for a book. I couldn’t help but think that the whole random-thinking-of-book-titles thing was a little weird, so I started praying about WHAT, WHAT DOES IT ALL MEAN back in January. As a Christian I’ve wrestled a little bit about what kind of book I’d write if I ever, you know, wrote one. Since I don’t write devotional-y / Bible study stuff, I’ve always felt like there’s not really a place for me as far as books go. I mean, I don’t really have any perspective to offer anybody. I don’t have a lot of insight into the book of Habbakuk. I’ve never come up with any modern-day analogies that shed new light on the sinful heart of man. I don’t have any business trying to tell people how to be a better wife / be a more patient mama / run a more organized household / trim your grocery budget to $200 a month. But back in February, through the combination of some prayer and a very odd scenario that involved about 15 or 20 birds walking down my driveway (oh, I am not kidding), I got a very loud and clear reminder that every once in awhile people just need to hear a cheerful voice. That reminder encouraged me more than I can tell you. And about a month ago – a couple of nights before the storms hit, in fact – one of those crazy, random book titles popped in my head. Within all of two minutes, I thought, Well, I believe there might be something I could do with that. This is not gonna be some big, major, official book-type production. AT ALL. I’m going to do an ebook – for several reasons. The first is that the prospect of writing a book proposal and query letters and all that stuff completely overwhelms me. Down the road I might not feel that way – but right now? YES. I feel that way. The second is that I would have to crawl under my bed and breathe into a paper sack if I thought any sort of self-promotion was going to be required of me (but I totally understand why self-promotion is necessary when you have a publisher and a contract and sales projections and all that – it’s part of the business). The third is that there are some Deeply Southern stories that I’ve wanted to tell but haven’t because nobody really wants to read a 4,000-word blog post. The fourth is that I’ve never had a dream of seeing my name on a book cover – but the process of starting and FINISHING something longer than a blog post is very appealing to me. And the fifth is that – well, I don’t really have a fifth. But let’s all pretend that I do. And also smile. So there you have it. An ebook in the works – for what it’s worth. I’m hoping to finish the first round of the writing part by the end of July, so feel free to bombard me with indignant emails if I don’t. And in the meantime, I’ll be keeping you posted. Have a great Memorial Day, y’all. One of my favorite singer/songwriters in the whole wide world is Dave Barnes. This information comes as no surprise whatsoever if you’ve been reading here for awhile, but if you’re newer here and haven’t heard me speak of Dave Barnes, then let me just assure you that he and his music are THE AWESOMEST. Totally a word, by the way. So today Dave Barnes is releasing a new EP called “You, The Night & Candlelight,” and as a result of that I am doing a giveaway so delightful that you will not even believe it. Or maybe you will believe it. But still. This giveaway is a TREAT, my friends. The very talented (and funny!) Dave Barnes has generously offered to give away ten copies of his new EP (I assure you that it is chock-full-o-musical treasures) AND a very special grand prize. What is the grand prize, you ask? Well, it would be my pleasure to share the details. The grand prize is a copy of his new EP PLUS a personal Valentine’s Day phone call from the Dave Barnes PLUS a $50 gift card so that you and someone you love can enjoy a night on the town. A night with candlelight, hopefully. Because I think y’all know how much I appreciate consistency with a theme. 1) Leave a comment and tell me who you’ll take out for dinner if you win the $50 gift card. 2) If you’d like more than one entry in this giveaway (which will close on February 14th, by the way), then head over to Dave Barnes’ website, register to win a free iTouch, and then come back here and leave ANOTHER comment telling me that you registered. That’ll get you a second entry. 3) If you’d like a third chance to win, then mention his new EP or http://davebarnes.com (no need to mention my blog – just Dave Barnes’ website) on Twitter, Facebook or on your blog, then come back here and leave me ANOTHER comment. That’ll get you a third entry. Oh, the day is filled with many winning romantical possibilities, is it not? I mean, a $50 gift card can buy a lot of bacon for you and your loved one at the restaurant of your choosing. And I think you’ll agree that bacon is certainly the most romantic of all the meats. p.s. If you’re hoping for the gift card but don’t want to wait on the music, you can buy the EP for only $3.99 on iTunes right now. Oh, it is a bargain. And did I mention the songs are very romance-y? Because they are very romance-y indeed. …but I did want to announce the winner of the Sony digital camera giveaway (thanks, Staples!). So I guess you want to know who commenter #272 is, huh? Congratulations, Cheryl – you should have an informative little email from me in the next few minutes. Hey! It’s A Digital Camera Giveaway! So the people at Staples have this thing going on where 10,000 customers can win their holiday gifts for free (up to $5,000) through the Gift It For Free sweepstakes. To enter the sweepstakes, you just go shopping at Staples and then enter in your receipt number on the Gift It For Free website. The end. And because Staples wants you good people to know about their sweepstakes – and LO, even enter the sweepstakes – and because they want you to know how easy it is to win, they are giving away a Sony Cybershot W120 digital camera, which retails for around $179.00 on their website and in their stores. And oh, the camera is very sassy. 1. Think of your favorite Christmas movie. 2. Tell me the name of it in the comments. This giveaway is only open to residents of the United States (but WE LOVE YOU, CANADA! ), and it will remain open until Wednesday, December 17 (around noon-ish), when I’ll ask Ye Olde Random.org to select us a winner. Please make sure you use a valid email address when you leave your comment, and only one entry per email address, please. Have fun, everybody – and Merry Christmas! 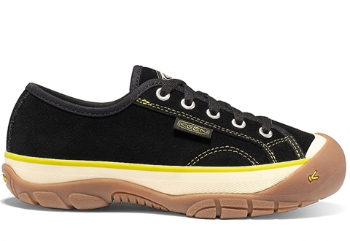 The fine folks who make the delightful KEEN shoes and bags are about to make y’all so happy. No, really. They are. I promise. 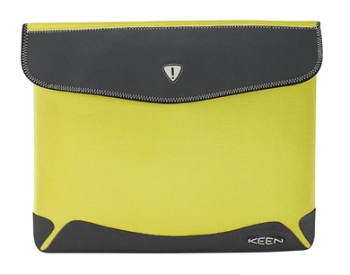 Because KEEN is giving one of you lucky people the free item of your choice from the (fab) new KEEN site. Anything you want. Sassy boots. Laptop bag. Kids’ shoes. Pick the one item you need most – and it’s yours (provided, of course, that random.org cooperates with your plans). 1. Visit the KEEN website. 3. Come back here and tell me your favorite item. 4. Sit tight until next Monday, December 8th, when I’ll close comments and draw for one lucky winner. If you win, the good KEEN people will give you a coupon code that will unlock the KEEN kingdom, so to speak. Then you can select your item and have it shipped straight to you. Oh, the internet is a delight, isn’t it? And if you decide to go ahead and buy a few presents on the KEEN site, you can get free shipping from now until December 8th by using the coupon code BOOMAMA. 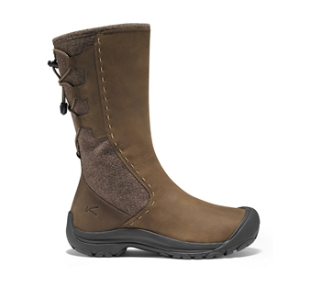 So get your shopping kicks with KEEN – and have fun, everybody! Filed Under: Bloggity Fun, There's More! Y’all know that I’m a fan of mom-owned businesses. And one of my favorites is Bonbon Charms. I think of the selection of jewelry at Bonbon Charms as everyday treasures – because it’s practical enough to wear every single day, and it’s so beautiful that you’ll want to keep it forever. Plus, many of the items can be personalized, which makes your necklace or bracelet or ornament totally unique. Love that. 1) Click over to Bonbon Charms. 2) Take a look around the site. 3) Come back here and leave a comment telling me what your favorite product is. And if you’re interested in ordering a few items right now, you can certainly do that – in fact, you can enter the discount code BOOMAMA and get 20% off of your entire order. But a word to the wise: you have to place your order by December 5th if you want it delivered by Christmas. The discount code is only valid until the 5th as well. And one thing’s for sure: these ornaments will be absolutely beautiful keepsakes in your family for years to come. I’ll close this giveaway on Monday, December 1st – and I’ll use random.org to draw for three winners.